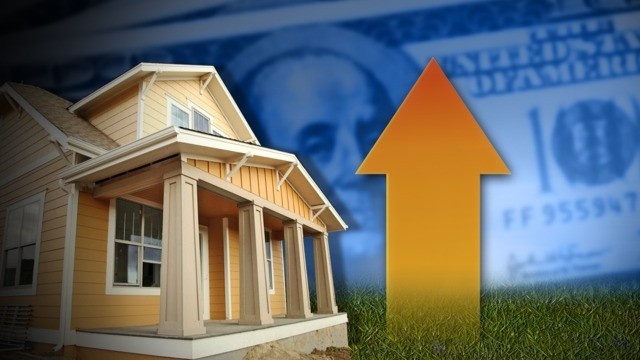 Home prices are expected to continue higher according to the latest economic outlook from Freddie Mac. Amid improving signs for the economy, 1.9 per cent this year and 2.3 per cent in 2017, the agency has increased its expectation for home prices by 50 basis points to 5 per cent for 2016; and by 40 basis points for 2017 to 4 per cent. There is a question over how confident homebuyers will be though and how the homeownership rate will fare given the paradox of low interest rates against tight inventory. Freddie Mac’s analysis highlights the drop in homeownership from a peak of 69 per cent a decade ago to 64 per cent currently. There is likely to be further decline in this rate due to various factors – tightening credit, high levels of student debt, lower perception of wealth-creation potential of ownership – however, the agency doesn’t expect the rate to fall below 50 per cent, something some analysts have predicted. The figures do not take into account any impact from the Brexit vote. The price of starter homes is increasing faster than those at the top end of the market, making it harder for first-time buyers. Zillow data shows that there are fewer price cuts for homes in the bottom third of the market while values are rising sharply compared to other sectors of the market. Home prices at the top end of the market have stabilized. Where prices were increasing at a rate of 7 per cent in 2014, they have eased to 4 per cent in the two years since. Those at the bottom of the market have continued to rise by 8 per cent annually. "Buyers looking for entry-level homes are having bidding wars in many markets, while it's not uncommon for high priced homes to stay on the market a few months longer. The housing market is much more forgiving for current homeowners looking to move into a bigger, more expensive home. These buyers can be a bit more selective, and may even get a good deal," said Zillow’s chief economist Dr Svenja Gudell. The stock of available homes in New York has been hit by the rise in home-sharing via services such as Airbnb. A report by housing advocacy groups Housing Conservatio Coordinators and MFY Legal Services suggests that up to 10 per cent of the city’s housing stock has been removed from the market by these listings, many of which they claim are illegal. Landlords, the report says, are removing multiple units in a single building from the rental market, as profits from short-term rentals far exceed regular rentals. The claims have been denied by Airbnb.